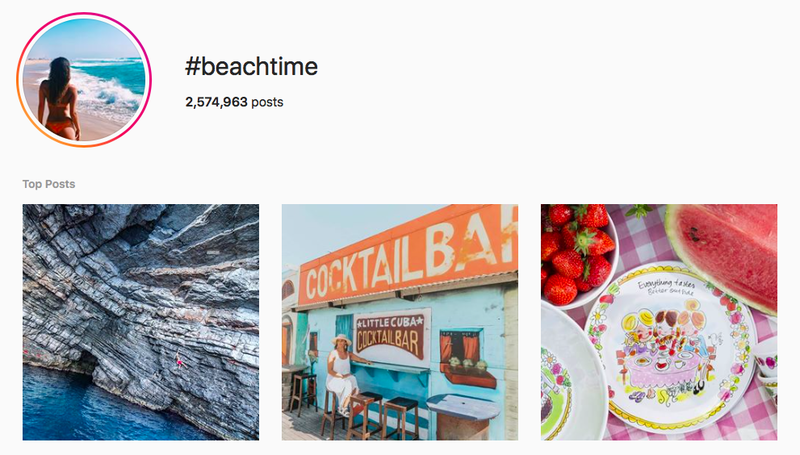 Well-chosen beach hashtags are an important tool for making sure more people find your work, whether you’re running a travel business or building an audience as a luxury travel influencer. Hashtags are a way of indexing content across social media sites such as Facebook, Twitter, and Instagram, providing a convenient way for users to find more of the content they love. These hashtags may even be the difference between your finely crafted content floating to the top in an incredibly crowded market, or sinking without trace. 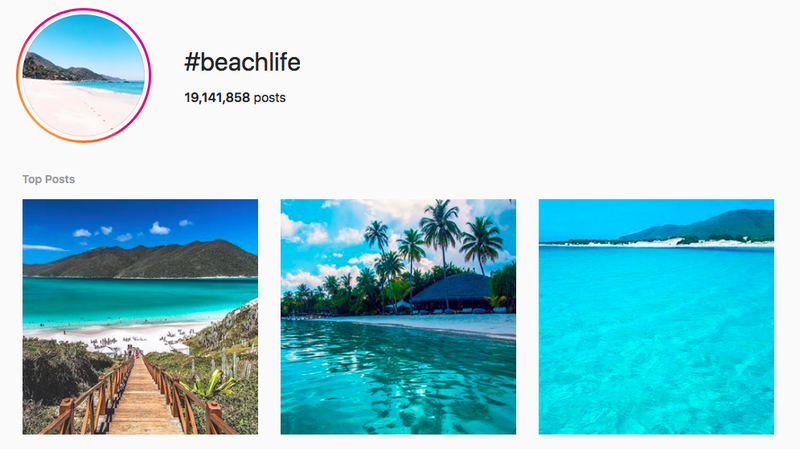 But which beach hashtags are the right ones for you? 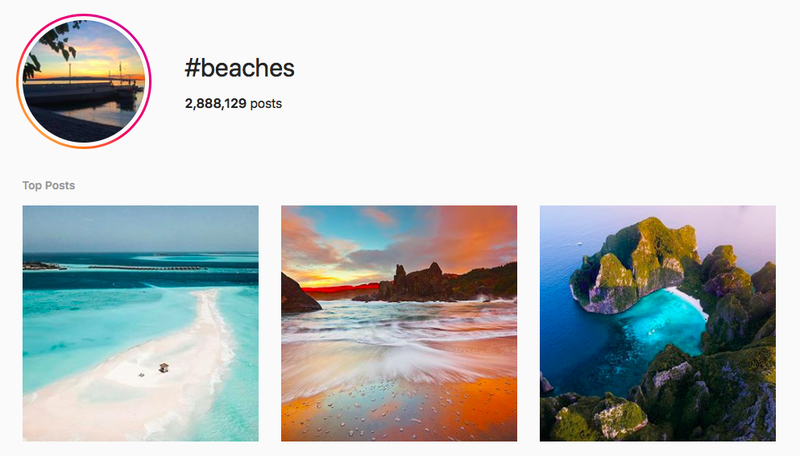 Here are 25 beach hashtags to consider using as part of your content marketing strategy. Their effectiveness depends on your marketing goals. 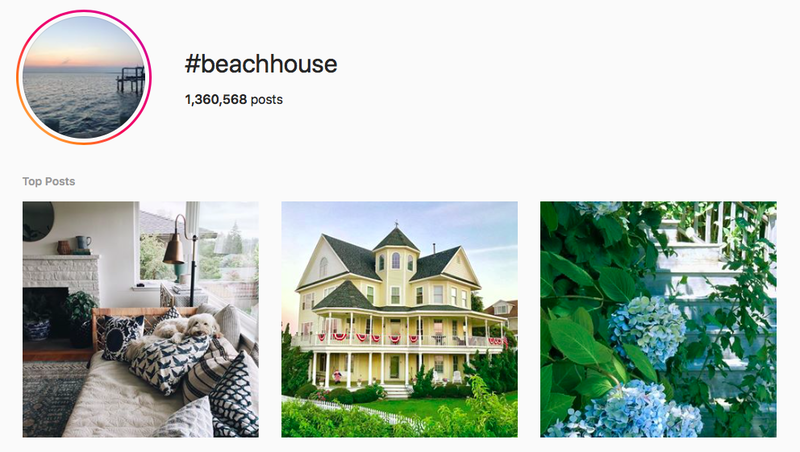 An obvious choice, but with over 187 million uses on Instagram, content doesn’t stick around for long. 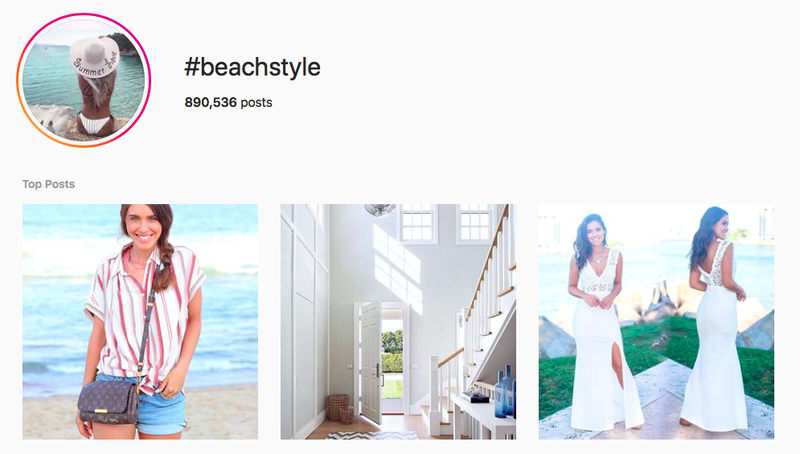 Pluralizing beach to #beaches reduces the reach to 2.8 million, but still hits the same demographic. 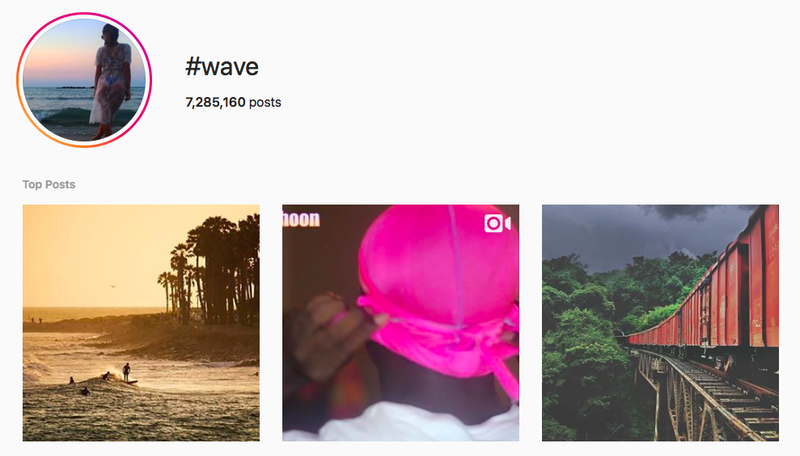 A top beach hashtag for sure. Another alternative is #beachfront. 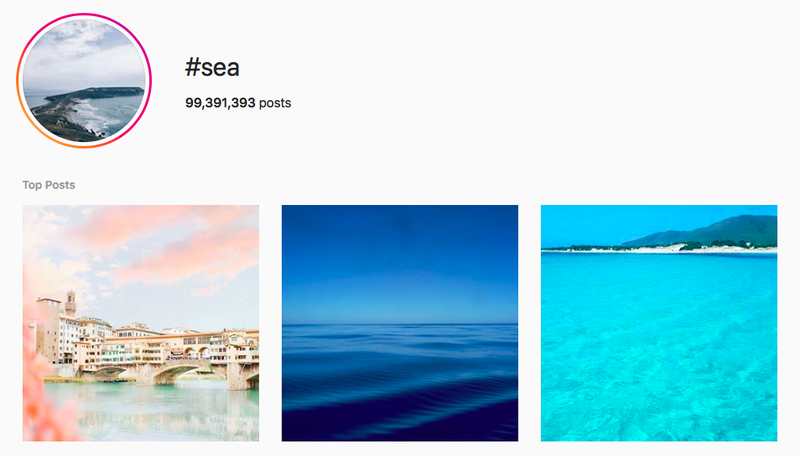 Beach and #sea hashtags go hand in hand. 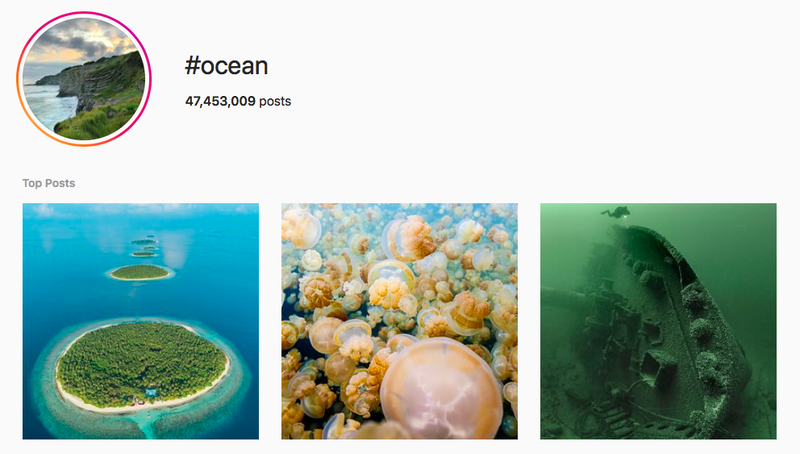 Similar to #sea, #ocean is much more popular, with over 47 million Instagram uses. Well-suited to photographs of beaches and beautiful landscapes, #photooftheday has limited usefulness due to the number of people who use the tag. A trending hashtag from March 2018 with a wide range of applications. 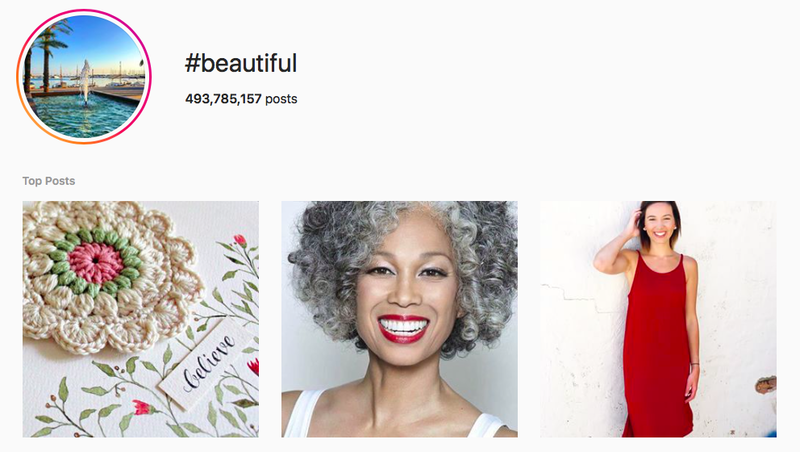 It’s not specific enough for beach content, #beautiful may work as a supplement to more targeted tags. An obvious choice, #sun for beach lovers. 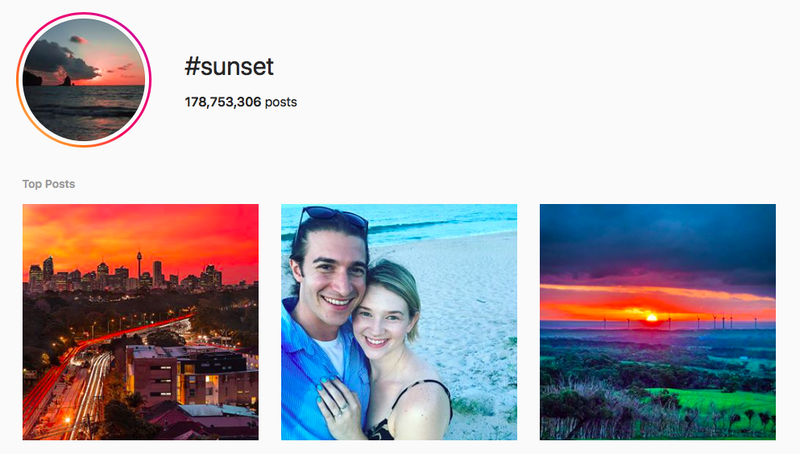 #Sunset photography is very popular on Instagram. Surfers and adventure photographers are sure to get good use out of #waves on days when the seas are rough. 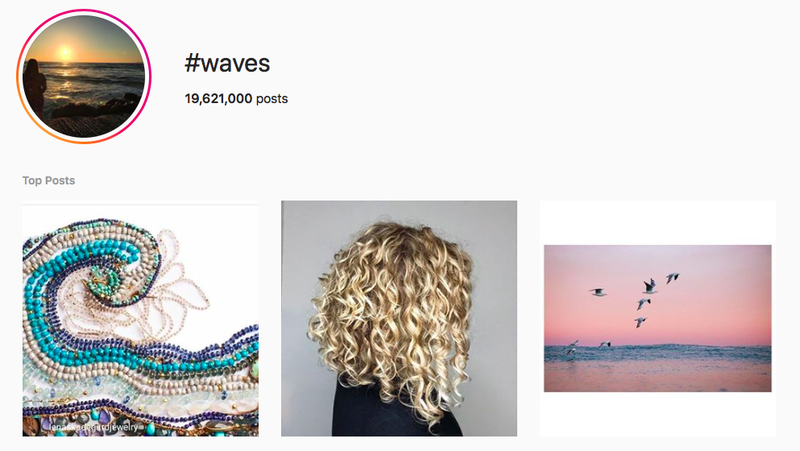 An alternative to #waves, #wave is still popular, but has been used less on Instagram and therefore provides an improved chance of gaining visibility. If you’re focusing on the people as well as the places, #tan is a good choice. 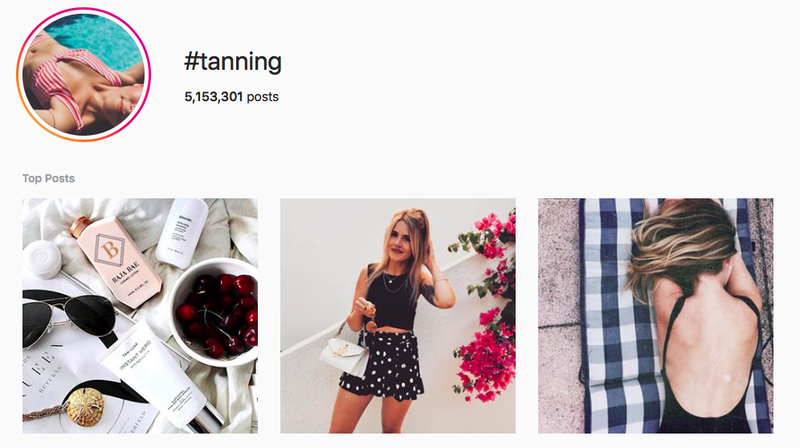 The #tan tag has over 12 million uses on Instagram; #tanning has less than half that, which helps raise visibility. 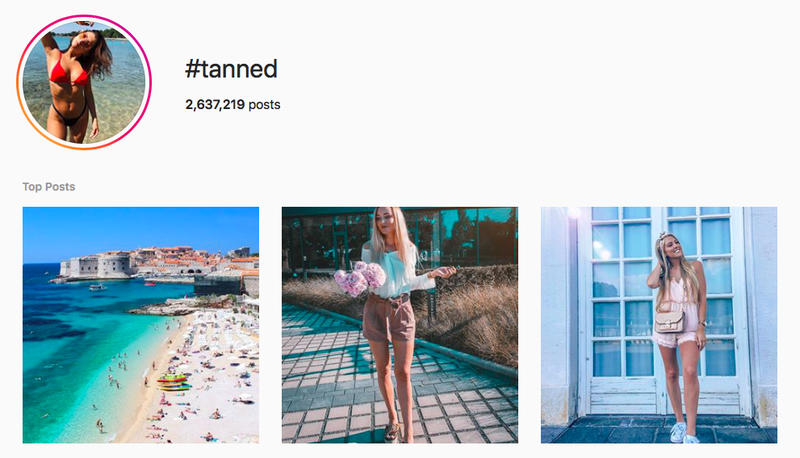 Similar to #tanning, #tanned has less than three million Instagram uses. 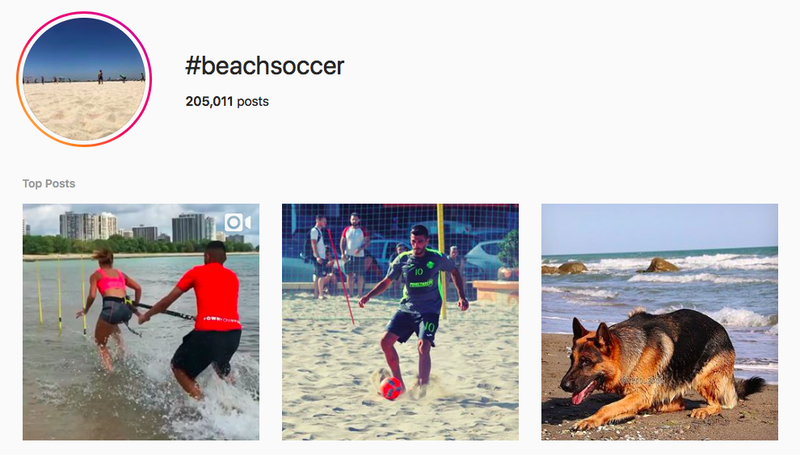 Sports influencers shouldn’t miss an opportunity for sun-soaked action by using #beachsoccer. A good choice for travel influencers, #beachlife enjoy chilling on hot beaches. Similar to #beachlife, #beachday captures the perfect day at the beach. Another good choice is #beachtime. Add a palm tree emoji to the end to reach a much smaller audience. Many influencers post about life on the road and living the #beachbum lifestyle. 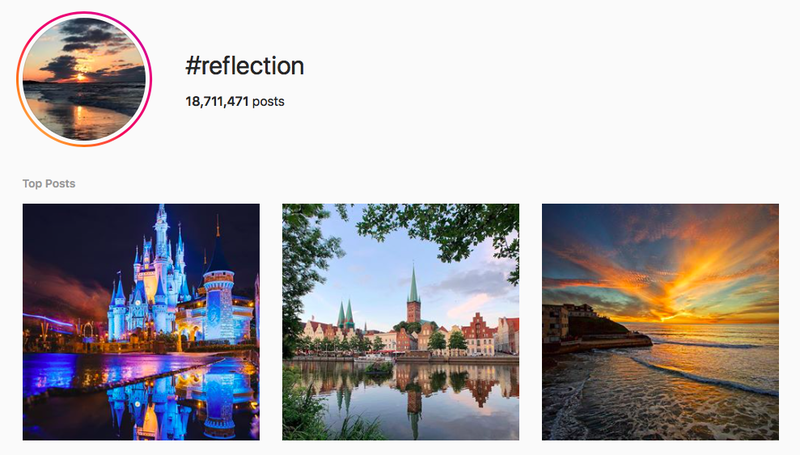 If you’re capturing reflections on still bodies of water, #reflection is an interesting choice with a chance to tap into some new markets. 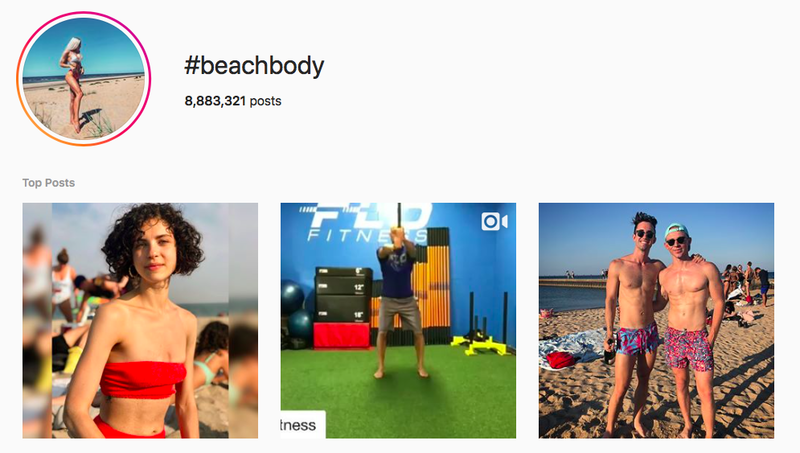 An excellent option for fitness influencers, #beachbody also is a go-to for fashion influencers showing off beachwear. 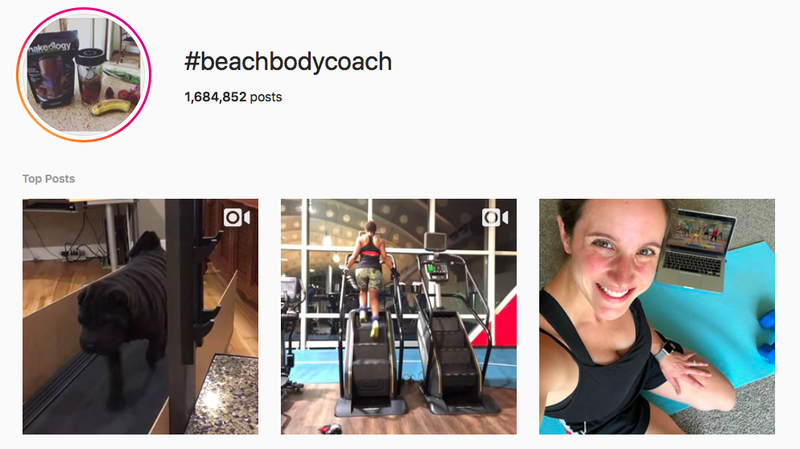 Another choice for promoting fitness, #beachbodycoach is a go-to for those preparing for beach season. 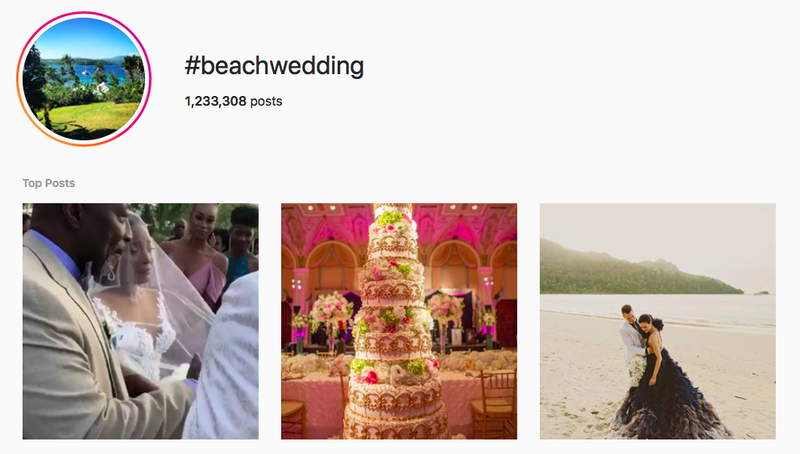 A good calling card for photography influencers, #beachwedding is a tag that brings joy to pretty much everyone. An interesting twist on the beach theme, #beachhouse shows off the architecture of summer. 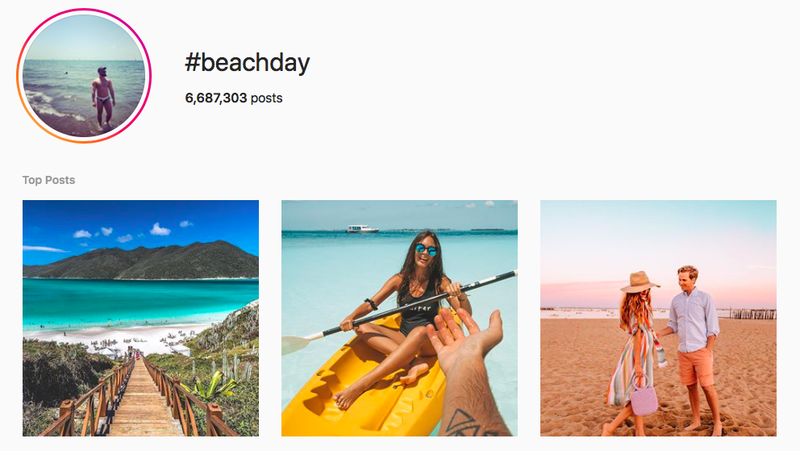 The top beach hashtag #beachstyle (or #beachwear as an alternative) is a good choice for fashion influencers and travel influencers. 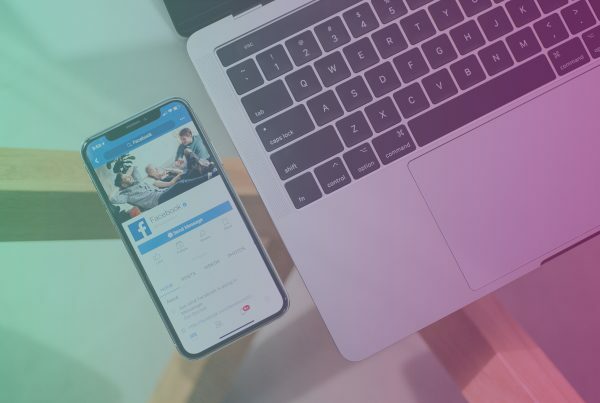 There’s no denying that social media is a booming industry, with statistics from 2018 indicating there are 3.196 billion users, accounting for a 42 percent penetration of the 7.593 billion worldwide population. On Facebook alone, there are over 2.2 billion active users. Those figures make an online marketing campaign very tempting, but they also make it a considerable challenge. Hashtags are an essential tool for building brand awareness. 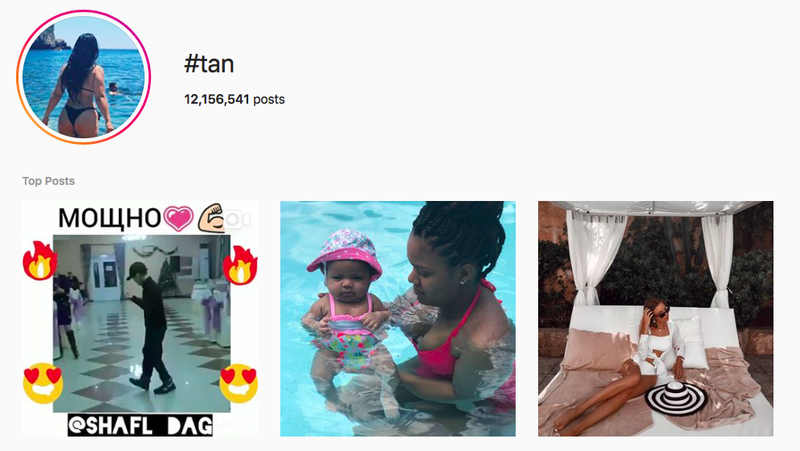 For example, on Instagram, users have the option to search for content tagged with specific hashtags, click or tap a hashtag to see a feed containing all of the content using that hashtag, follow a hashtag to get related content piped directly into their personal feed, or even block certain types of content from the hashtags they follow. This gives users incredible control over what they see and how they experience their time on social media. Control of this kind makes choosing the best hashtags for your needs important. Using the most popular hashtags isn’t always the best option. It’s usually a better idea to find hashtags that focus on your core demographic. 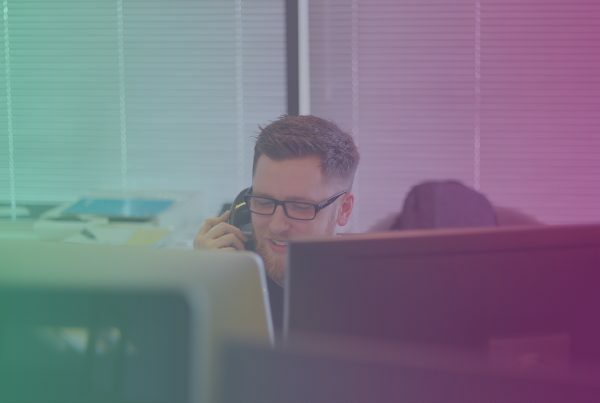 While your content may appear in less feeds, you have an increased opportunity to engage with those people who are genuinely interested in the kind of content you produce. 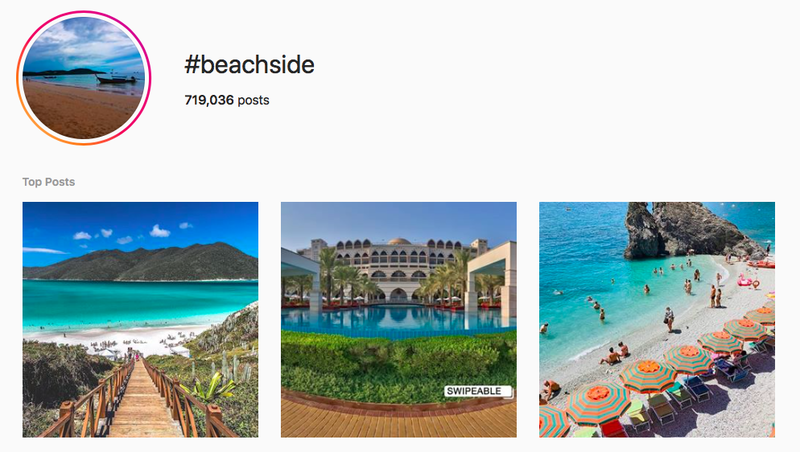 For that reason, if you’re posting about beaches, traveling, luxury vacations, or adventures, using some beach hashtags is a good way to build an audience and improve visibility. 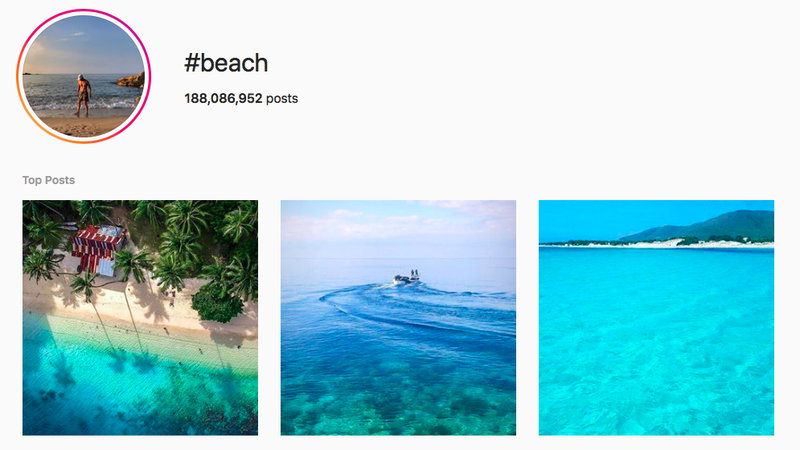 For each post you generate, you only have a limited number of beach hashtags available. On Twitter and Facebook, using more than one or two hashtags may even have a detrimental effect on the level of engagement. 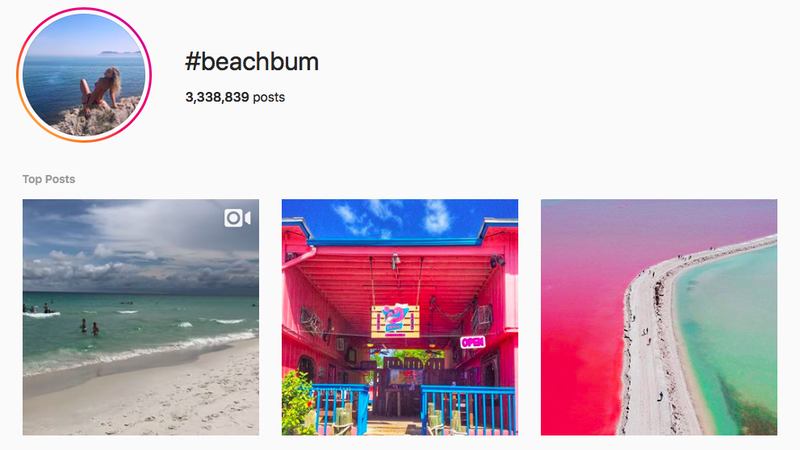 With limited options, you need to consider which types of beach hashtags are the most suitable. Many hashtags are for building an audience, such as #followback, which indicates that you agree to follow any account that follows you. These tags are very popular, and don’t focus on any one subject, but may be useful in the early days of developing a social media presence. Many hashtags are incredibly popular, so associated content gets a lot of impressions in a large number of feeds. The downside is that these tags are so popular it’s very difficult to stand out. 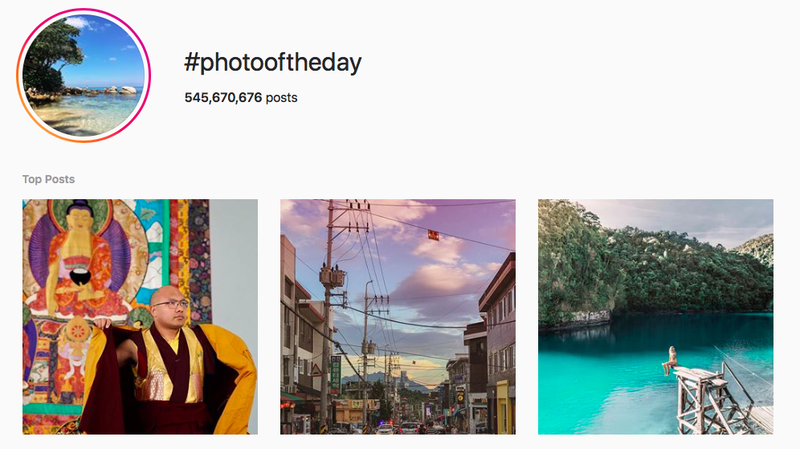 For example, on Instagram, images tagged #photooftheday may only be at the top of the associated feed for a matter of seconds. That limits the usefulness of the tag as a way to gain visibility. Hashtags change with fashions. Keep a close eye on changing trends, the time of year, and seasonal holidays to make sure you’re always using the best options. These are the tags you really need to focus on, as they target your key audience. 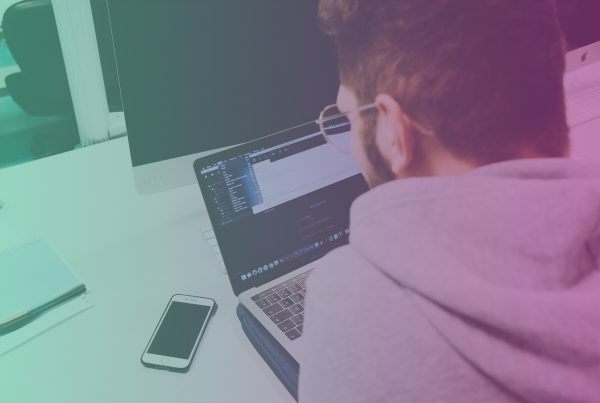 You need to find tags that are popular in your field of expertise, but not so popular that you’re constantly fighting to stay on the top of a wave of incoming content. For example, #photography may have wide-ranging appeal and increase the number of impressions you get. If you tried #beachphotography, it would improve the chances of the right kind of people seeing your work, which in turn increases the likelihood that you’re going to find people who want to regularly interact with your brand. Final Thought: Sink or Swim? Hashtags make all the difference. 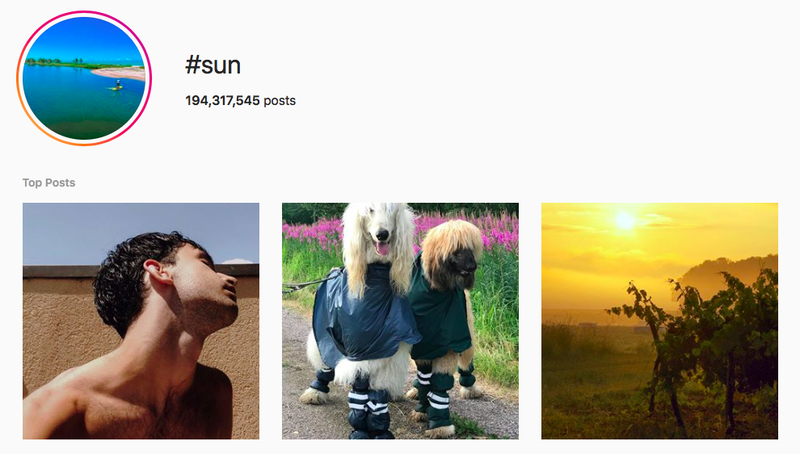 Instagram posts with at least one hashtag have 12.6 percent more engagement than posts without. The level of engagement increases when you make the best tagging choices. It’s possible to use native search features on social media platforms to find good hashtag options. Keep in mind that search functions return the tags that are the most useful for people looking for content. These tags may not represent the best options for marketers looking to improve engagement or reach. For better options, consider investing in some hashtag analytical software to find the tags that ensure content swims to the top rather than sinking.